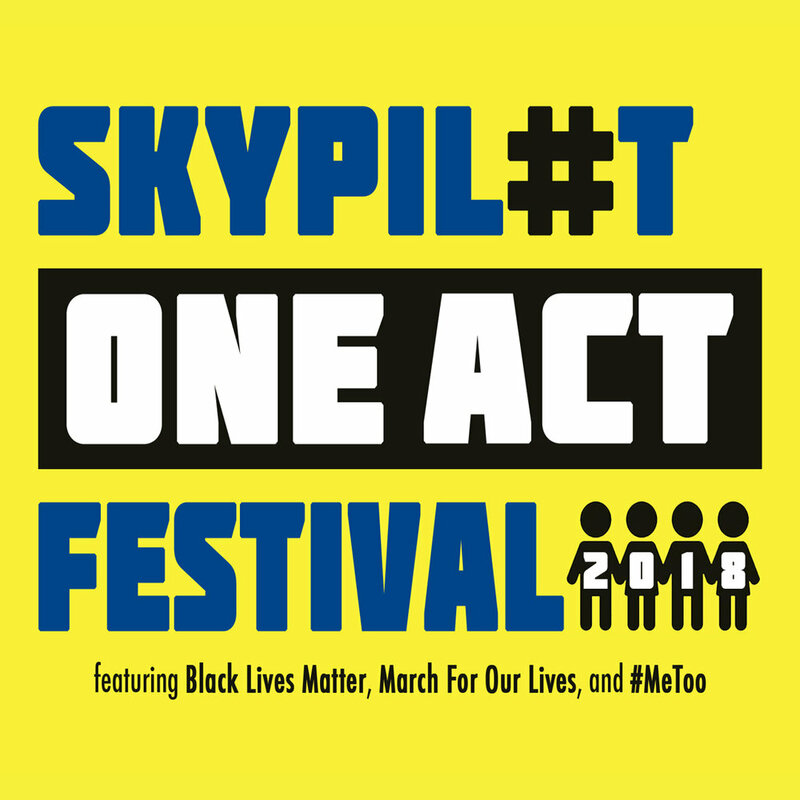 The award-winning SkyPilot Theatre Company will premiere seven original short plays during its inaugural SkyPilot One-Act Festival this November at Oh My Ribs! Entertainment, 6468 Santa Monica Blvd. in Hollywood. The plays (titled Series A and Series B) will be performed over four nights (two nights for each Series) for three weekends. Tickets are $15 per night with the option of a Festival pass to see all works for $20. With so many issues affecting our country these days, SkyPilot was inspired to focus this festival on themes relevant to everyone in one way or another, allowing the expression of different views and opinions through art and creativity. Playwrights were asked to submit works based on either #MeToo, Black Lives Matter or March for Our Lives (specifically gun safety in schools) with no limits on position – only good stories with a strong voice and something to say. More than 85 submissions came from all over the country and were narrowed down to seven, selected by the company’s members collectively. Class Reunion, written by Tom Misuraca, directed by Margaret Starbucks, featuring Laura Walker, Kelly Goodman, Patricia Mizen, Terry Woodberry and Jono Eiland. The Smallest Seed, written by Starina Johnson, directed by Stephen Juhl, featuring Terry Woodberry, Ayla Rose Barreau and Borge Etienne. This Is Not a Drill, written by Nick Freedson, directed by Collette Rutherford, featuring Sof Puchley, David Branson, Marissa Kimble, Emma Pasarow, Alyssa Klein, Sri Chilukuri and Celia Ruskin. Existential Magic Eight Ball, written by Jeremy Kehoe, directed by Morris Schorr, featuring Travon McCall, Donovan Farwell and Caleb Thermidor. Safedate.com, written by Kelli Bowlden, directed by Arden Haywood Smalls, featuring Mitchell Thompson, Mariah Robinson, Mylie Brakeman, Caleb Thermidor, Marie Pettit, Karen Brundage and Kiana Thompson. Christmas Parole, written by John Franceschini, directed by Marla Cotovsky, featuring Rosemary Thomas, Morris Schorr and Les Kurkendaal-Barrett. The Assault(s), written by Marilynn Barner Anselmi, directed by Kristina Lloyd, featuring Marissa Kimble, Elizabeth Clary and Taylor Hawthorne.